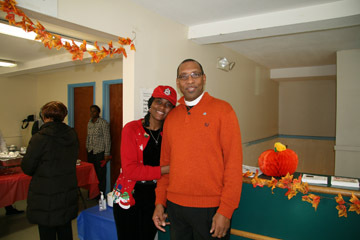 Pastor Walter Williams III is the senior pastor of Walk of Faith Church of Christ, Disciples of Christ in New Haven, Connecticut. He is a native of Newburgh, New York and the fifth child of seven children. Pastor Williams attributes his teaching in ethics, morality, hard work, character and integrity to his parents, William and Sadie Tallie. Pastor Williams’ spiritual foundation was developed at Mt. Carmel Church of Christ, Disciples of Christ, under the leadership of Bishop George W. Johnson, where he was an active member of the choir and the youth group. While in the United States Air Force and stationed in Las Vegas, pastor prayed for God to help him with his gambling challenge. With a heart to live a committed life to God, shortly after his prayer, Pastor Williams recommitted his life to the Lord and he answered God’s call to preach the Gospel of Jesus Christ. 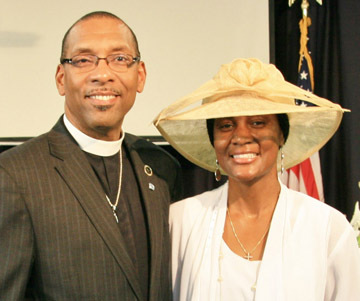 At the age of 24, Pastor Williams served as the senior pastor of a 34 year old congregation in New Haven, Connecticut. After four years of intense pastoral on-the-job training, the visionary within Pastor Williams founded the Walk of Faith Church of Christ, Disciples of Christ in 1986. As a man of vision, Pastor Williams is committed to: serving God with the spirit of excellence, community activism, equipping saints for ministry and creating an atmosphere where the power of God and deliverance will have full reign in the lives of believers as they fulfill their ordained kingdom purposes of God. Pastor Williams is married to Dorothy Fay (Lady Fay) and they are the proud parents of six children and four grandchildren.